It is often said that the Japanese tea ceremony elevates tea to an artform, but the drink itself is not the only artform you will discover if you ever have a chance to take part. Like any ceremony, Chanoyu is more than a series of ritualized gestures; it is a celebration of a particular sense of beauty. Every aspect of the experience reflects an appreciation of this aesthetic, from the smallest tea spoon, to the space of the tea house itself. Many of Japan’s peerless craft skills were developed to satisfy the needs of tea practitioners. 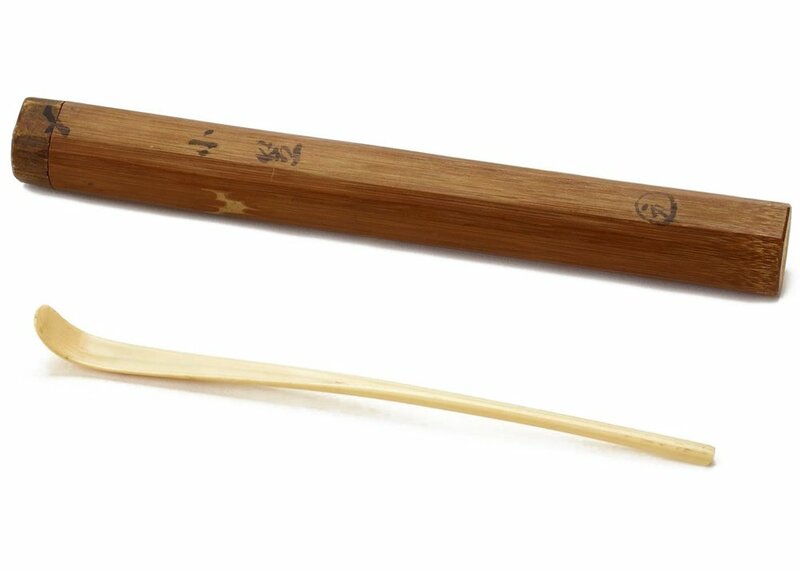 Ceramics, ironware, lacquer and bamboo are among the many disciplines required to create this selection of elegant utensils used in the preparation of tea. By enjoying these objects you will see just how important the tea ceremony has been as a crucible of Japanese arts. The tea ceremony is of course centered on the tea itself, and by extension on the bowl in which it is served. Tea bowls are admired for their individual character, comfort for the drinker, and often the pedigree of their maker. 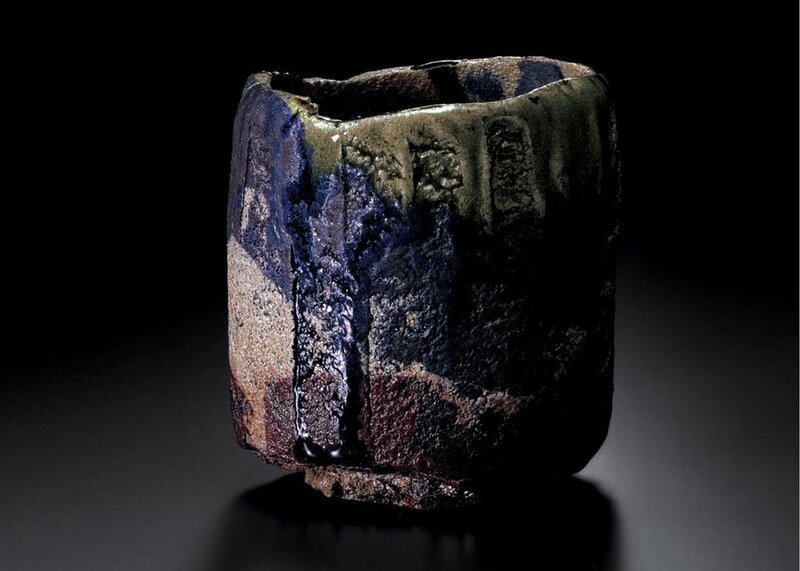 This pedigree of this piece from the collection of the Sagawa Art Museum, is much sought after, as it is the work of Raku Kichizaemon, the 15th generation head of the Raku family. Their hand-molded and beautifully idiosyncratic ceramic bowls have been used in tea ceremonies for over four centuries. The Raku family are not the early tea suppliers still in business. This cast iron tea kettle is from the Morihisa Suzuki studio which has been producing them since 1625. The kettle is an essential element of the tea ceremony. In the winter months, it is placed in a sunken hearth in the tearoom. Its presence in the room is felt not just through its weighty physicality, but through the comforting sounds it produces as the water boils. Each example creates the atmosphere against which the ceremony unfolds. During Japan’s hot summers, the heat from a sunken hearth would be too intense, so from May to October, a brazier containing hot charcoal is used instead. 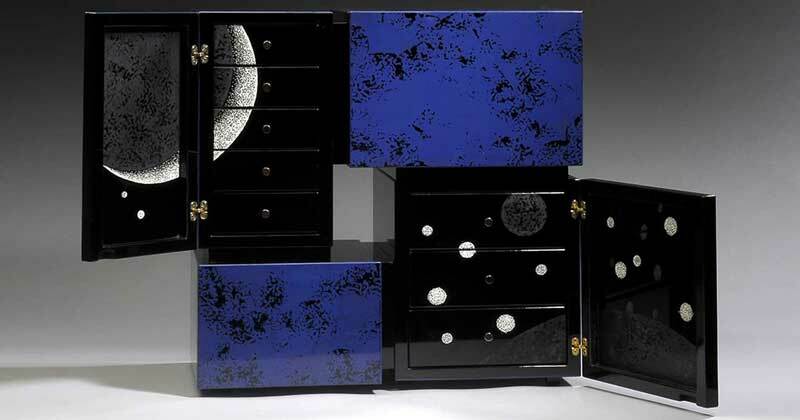 From the design of the cherry blossoms inlayed in mother-of-pearl on this glorious lacquer-covered piece, you can imagine that its 18th century owner would be anxious to bring it out of storage as early as possible to celebrate the return of fine weather. As with the brazier above a willow motif also flows across the surface of this water container, which looks like it too could be finished in finely polished lacquer. However, this piece was actually cast from gilded copper by the late master crafsman Mitsuo Masuda in 1989. 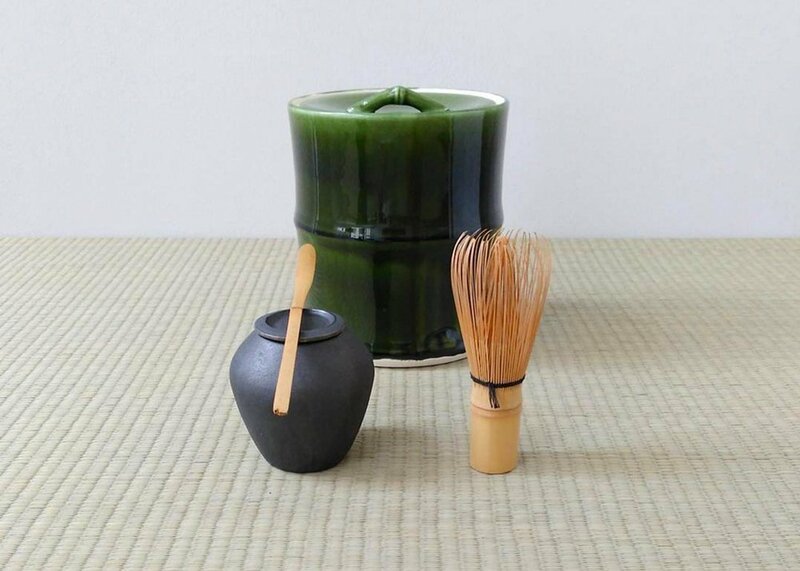 For the preparation of the tea itself, the most important utensils for the host are the whisk, chasen, and tea scoop, chashaku, as you can see in this photo from Ayako Yamada. The whisk is carved from a single piece of bamboo, requiring a great degree of skill to form the evenly balanced and finely shaped fronds. Unlike most of the other utensils we have seen, the whisk cannot be used for very long before it needs to be replaced. A chashaku however can be used for generations. The most highly prized pieces have names of their own, such as this ivory scoop named Ogasa, which dates from the Edo period. You can see the care with which these items are treated from the custom-made bamboo case in which it is kept. The immaculately detailed design of tea ceremony objects is never overlooked. In fact, a significant portion of the ceremony is dedicated to presenting and inspecting the objects that will have been carefully selected to express the chosen theme of the event. 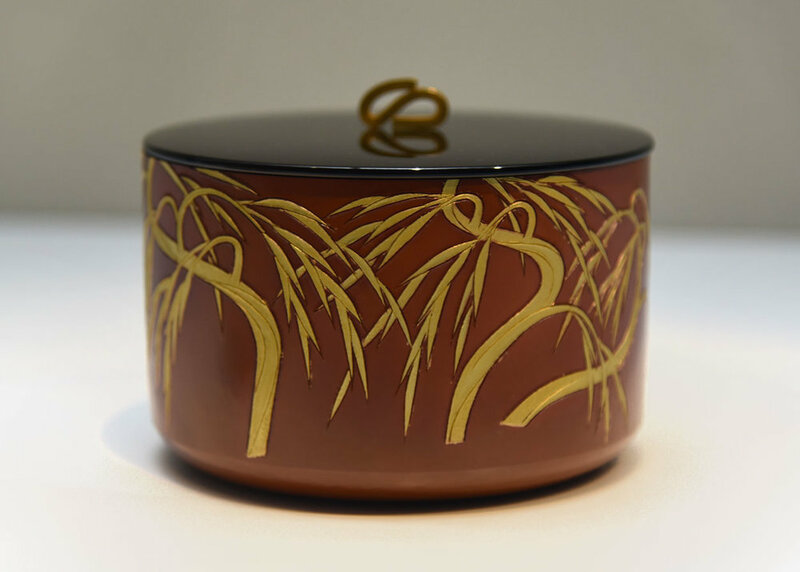 As the guest bow in appreciation of their beauty, or the host crisply wipes the teabowl with a dedicated linen cloth, you are struck by the reverence with which practitioners treat these masterpieces of Japanese craft.